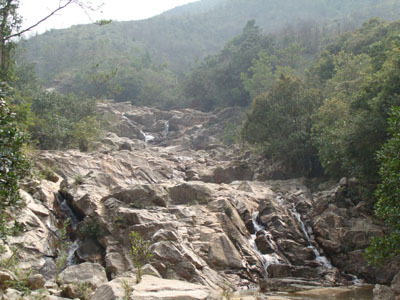 This stream is the brother of Qingdai(清大石澗) . Both streams share a common lower stream. Both streams are of similar difficulty and of similar geographical construction. Water is clean with swimable water pools. It is however, there is rubbish dumping landfill in the delta area of Daliangshui (大冷水). 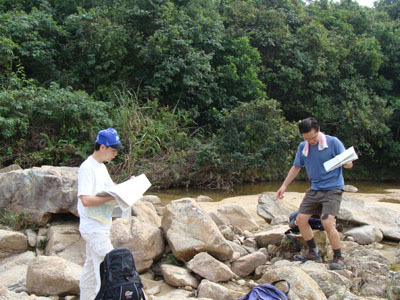 If the wind direction is right, stream hikers will be attacked by very stinky smell especially in the early part of the stream. 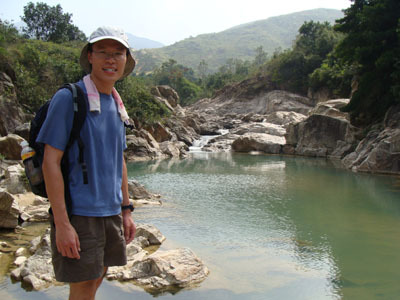 Besides that, this stream is also very close a Firing Range (練靶場), sometimes you will hear gun fire. Good Luck. This is the lower stream. 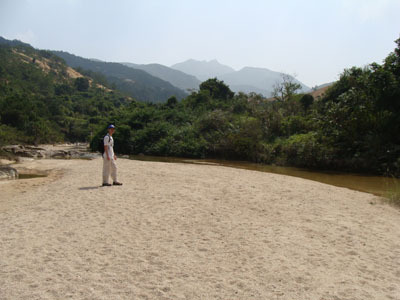 The river bed is very sandy. 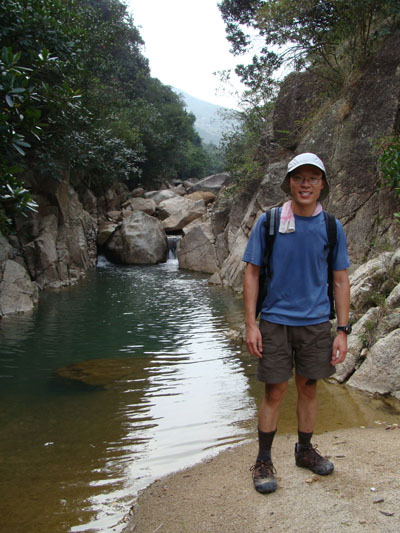 There is a hiking path more or less parallel to the lower stream. This is The Pool of Lying Dragon (臥龍潭) which is really a good place for a bath. However, it is not our target today. 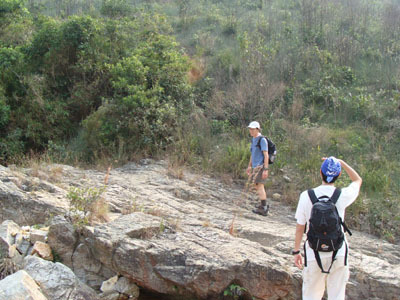 Here we reached a junction of Qingdai Stream(清大石澗) and Daliangshui (大冷水). 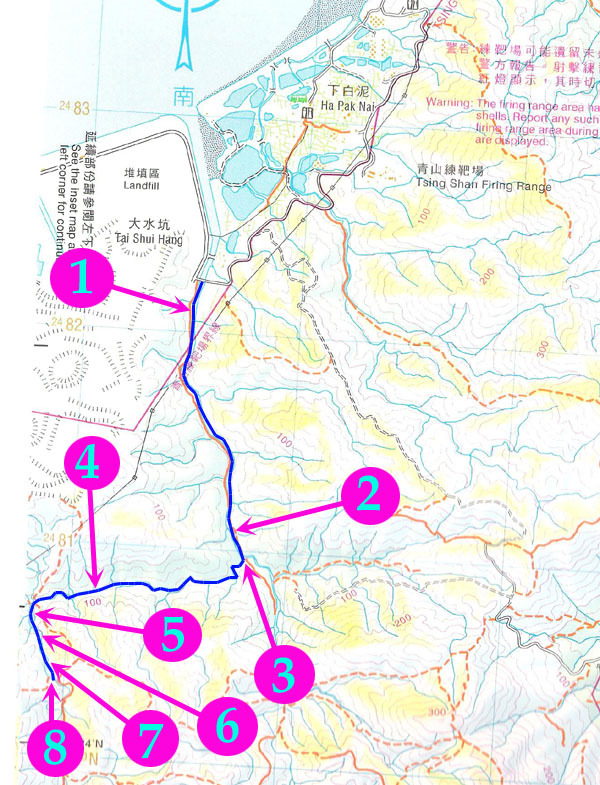 Left side is for Qingdai Stream, right side is for Daliangshui. Wow, there is a narrow and deep clean water pool. After we had taken a 90 degree left turn, we were immedidately amazed by this nice blend of rocks and waterfalls. Ooops, we found what we need. 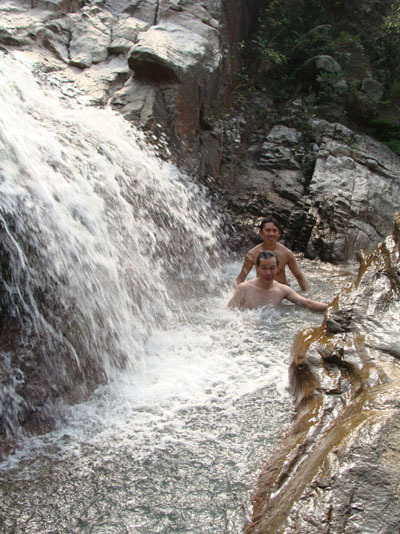 It was late Oct but still the weather was hot enough for us to dip in natural water pool. Well, sign of global warming. This pool is clean and cool. Just a little bit tight. 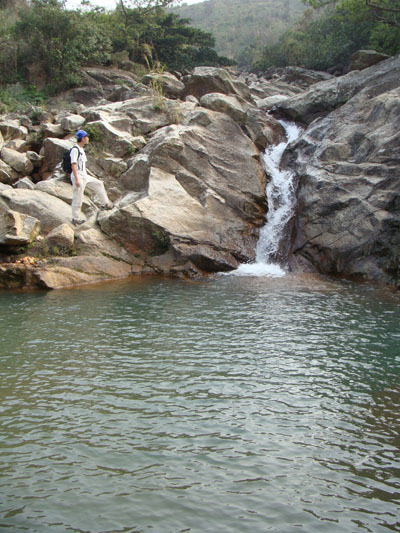 This pool is the biggest water pool of Daliangshui (大冷水). Don't miss this one for water fun. This is the exit, Ki was staring at the direction of the exit path. The exit is on your righ with ribbons for catching your attention. This is a very enjoyable stream after all.